Humboldt Green Week is a manifestation of culture advancing the ideals of our community while building bridges, honoring the environment, supporting the local economy, and promoting music, art, and solutions through action. Join us in showcasing a week of gatherings to celebrate Earth Day and this special place we call home. 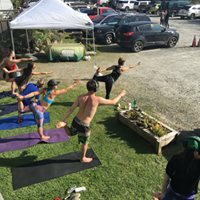 Humboldt Green is currently searching for musicians, artists, performers, non-profits, environmental and community groups as well as local businesses to participate in Humboldt Green Week 2019. Are you an educational center that has something to share with the youth? Guided walks, child yoga classes, drawing instruction, drum circles, museum visits would all be great additions to the 2019 calendar. 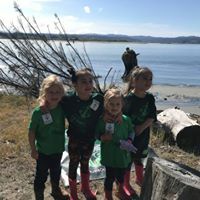 Humboldt Green Week partners with local Non-Profit Organizations to celebrate the great work that is being done in Humboldt County. If your NPO is interested in tabling space at one of the many HGW events, please contact our Green Team staff. 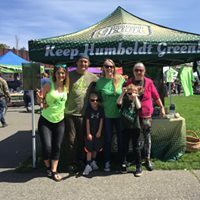 Humboldt Green Week 2018 was a huge success with over fifty events in ten days celebrating the environment, music, art, movement and education in the Humboldt community. We are grateful to our sponsors and volunteers for helping to build bridges to connect local Nonprofit organizations, businesses and local residents to showcase the heart of the community during Humboldt Green Week. HGW is a wonderful reflection of the passion and power our community has to create a spirited environment, focusing on work that future generations will benefit from. Humboldt Green Week is interested in your organization’s objectives and is in support of helping businesses meet their goals as a company. HGW 2019 is a great way to get involved with the local community and to be able to market your company’s objectives to a wider audience. Become a sponsor of Humboldt Green Week and have a hand in bringing people together to build bridges in our community. Let us help promote the great things you have to offer. Signing on early helps add to the success of HGW with more time to plan and create events that resonate with Sponsor goals. Fill out the HGW 2019 Sponsorship Form and email it to Lori@HumboldtGreenWeek.com. 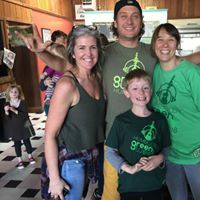 Please consider supporting Humboldt Green Week 2019. With your help, we can continue to provide a space to advance the ideals of our community while building bridges, honoring the environment, supporting the local economy and promoting music, art and solutions through action. 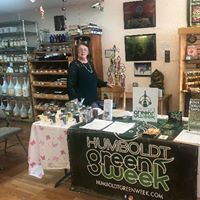 Join us in showcasing a week of gatherings to celebrate Earth Day 2019 and this special place we call Humboldt! 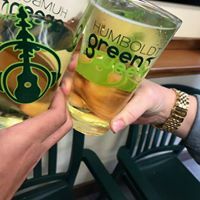 If you would like to submit an event, volunteer or be involved in Humboldt Green Week in any way, please fill out our Contact Form and one of our Green Team staff members will reach out to you for more details.